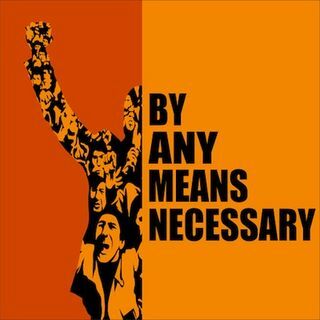 On this episode of "By Any Means Necessary" hosts Eugene Puryear and Sean Blackmon are joined by Reverend Dr. Rodney Sadler, Jr. Associate Professor of Bible, Union Presbyterian Seminary and among other things is the NC NAACP chair for the Healthcare Committee to talk about the national elections in the US on Tuesday, Democratic Vi Lyles elected as Charlotte, North Carolina's first female African American mayor, the role Black Lives Matter protests over the past year played in ... See More the 2017 elections, and the overwhelming number of people who voted for Medicaid Expansion in Maine. Later in the show Eugene Puryear and Sean Blackmon are joined by Dawn Yuster, School Justice Project Director, Advocates for Children of New York, to talk about a shocking new report analyzing racial disparities in New York Schools in response to students in emotional crisis, NYPD’s use of handcuffs on students as young as 5 years old, and what NYPD, NYC Department of Education, and New York City can do to address racial injustice directed at NY public school students. In the third segment Marsha Coleman-Adebayo, Chair of the Social Justice Committee of Macedonia Baptist Church in Bethesda, Maryland, joins the show to talk about the efforts to protect an African-American cemetery in Maryland from gentrification and destruction, the cozy and corrupt relationship between politicians and developers, and how activists and organizers can successfully carry out direction actions of resistance. In the last hour "By Any Means Necessary" is joined by Ted Rall, award winning editorial cartoonist and columnist to talk about what the Democratic wins in New Jersey and Virginia may or may not mean for the Party moving forward, the concern Democrats should still have towards their internal infighting despite the big wins, and what motivated long time DNC operative Donna Brazile to candidly open up about the inner workings of the DNC and the Hillary Clinton 2016 Presidential campaign. The group also talks about Donald Trump's visit to South Korea, why China would support North Korea, and what to make of the White House remembering the "victims" of Communism.